Cantaloupe melon (also called muskmelon) is a great source of vitamins and minerals. 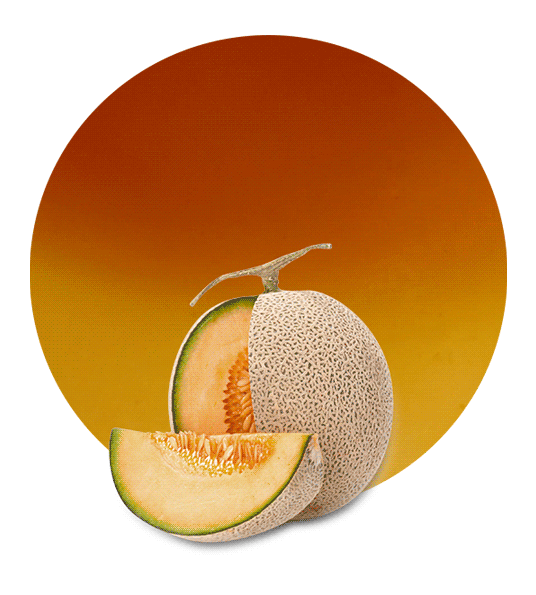 For example, cantaloupe melon is rich in vitamin C, potassium, vitamin A, fiber, copper, etc. Thanks to this composition, this fruit is good in the prevention of some diseases, such as cancer, asthma, macular degeneration diseases, etc. Moreover, it can be helpful to control blood pressure, in the digestion process, it reduces inflammation, etc. All these healthy properties make our cantaloupe melon juice not from concentrate (NFC) a great juice for almost any diet. Our facilities are located in the southern Spain. This is one of the most important areas for fruit and vegetable production. Being here means being able to choose the best raw materials (the best cantaloupe melon) to obtain the best juice. Furthermore, the time between the harvesting and the processing is really short, so our products always maintain all their natural properties. This is a cantaloupe juice not from concentrate, what means that when the cantaloupe melon is squeezed and the juice is extracted, we don’t remove any water from it. This results in a ready to drink melon juice. 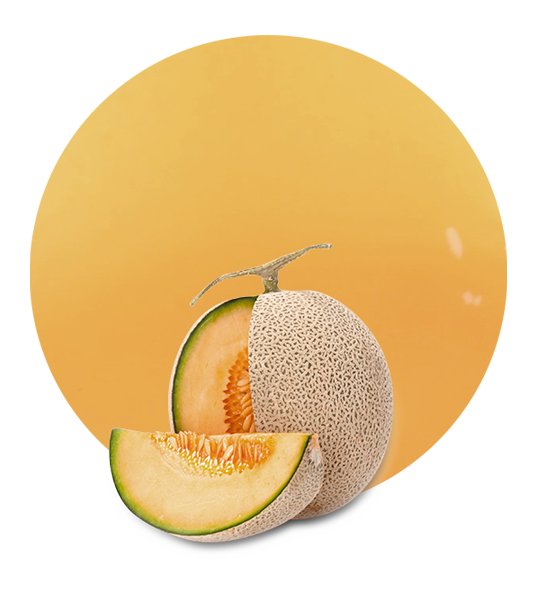 When our cantaloupe melon juice NFC is ready, we can ship it all over the world with different packaging options. We can use tanks, drums, bags in boxes, bins, etc. It will depend on client’s preferences. We have been working as processed fruit supplier and manufacturer for decades. During this time, we have built close relationships with our clients. This is due to two reasons. On the one hand, we elaborate a great product. We use the best raw materials and the most modern technology for fruit processing. On the other hand, we offer a tailored service with tailored pricing, timing, packaging, shipping, etc. We do as much as possible to meet our clients’ expectations.